2019 is off to a worrisome start. As of this posting, the United States government remains in a partial shutdown. The President and Congress are unable to agree on the provisions of a Continuing Resolution to fund the federal government, particularly the funding (or not) of a wall that would be built along the Mexican border. 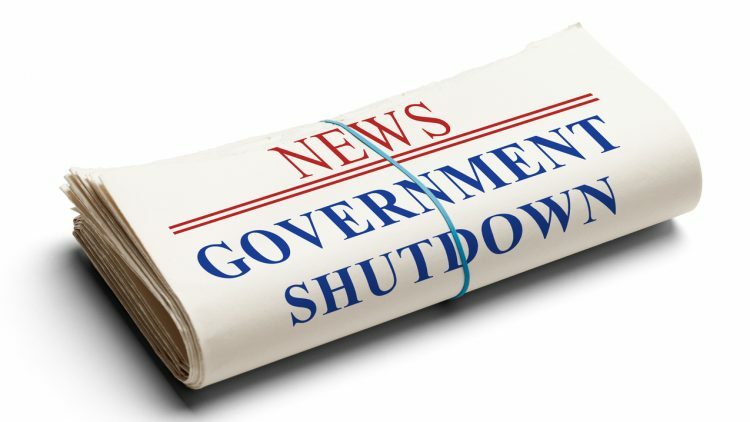 A partial shutdown means that only some — not all — government operations have been halted. These include some federal housing, mortgage, and other programs. Of course, this shutdown affects all Americans, particularly those federal employees who are expected to work without pay, and those not working at all. Included in this freeze are many real estate agents who are expecting commissions. A good number of home sales may be on hold until after the shutdown is resolved. Fannie Mae and Freddie Mac are not reliant on these contested funds, so for now they are continuing normal operations. During the course of the shutdown, Freddie Mac requires all borrowers to sign a 4506T request form prior to close, but the request does not have to be processed prior to close. Fannie Mae requires the same condition unless the borrower’s income can be verified through Fannie Mae’s proprietary Desktop Underwriter verification system. If this is possible, then a 4506T form is not required. The Department of Housing and Urban Development (HUD) states that the Federal Housing Administration (FHA) will endorse new loans in the Single Family Mortgage Loan Program, except for HECM loans. It will not make new commitments in the Multi-Family Program during the shutdown. For now, the FHA will remain operational during the shutdown, including paying claims and collecting premiums. However, some delays with FHA processing may occur due to short staffing. The Internal Revenue Service (IRS) will continue to process all forms, including requests for tax return transcripts (Form 4506T). FHA and VA loans do not require these transcripts, but many other forms of loans do. Expect IRS delays if the shutdown continues. Some lenders may revise some of their policies for the duration. A survey by the National Association of Realtors® (NAR) found that 75 percent of members questioned had no impact to their contract signings or closing. However, 11 percent did report an impact; in addition, the impact on potential clients is 11 percent. At 25 percent are the buyers who decided not to buy due to general economic uncertainty, though they themselves were not federal government employees. As far as the actual shutdown affecting the sale, 17 percent of those surveyed experienced a closing delay because of the stoppage of a USDA loan. Are Your Commissions Being Slowed or Delayed by the Shutdown? eCommission is a financial service that can help. We are currently working with agents who have experienced delayed closings, and we can continue to do so for the duration of the shutdown. We can advance you your commission before closing, in as little as an hour and for as much as $15,000. We have a dedicated team of account managers who can help you along, answer your questions, and eliminate any miscommunications. You can even earn reward points each time you advance and redeem with us — gift cards, merchandise and more! Note that this is not a loan. It’s factoring — a financial service where you and your broker simply sell us a small portion of your pending commission. In exchange for that, your funds are advanced to you, before your closing. The idea is to get your money to you so you don’t have to wait — during the shutdown or anytime. See the FAQs here. If you’re a first-time eCommission customer, you’ll get 25 percent off your first advance (use promo code 25OFF). There are no hold-backs, no hidden fees, and there’s no paperwork required. We’re endorsed by the top real estate brands nationwide including top companies like Sotheby’s, Coldwell Banker, Keller Williams, Re/Max, Century 21, and others. Click here to get started on your advance and keep your cash flowing. Read more about the NAR survey here.